Emails are like your visiting cards for the online audience. So the first step is getting a decent Email account to start with. You can take it a step further by getting the same email id – the ending or domain name as the one on your business. The next thing that needs your attention is the subject line. Keep it to the point. The next thing is the content, which again should be to the point. 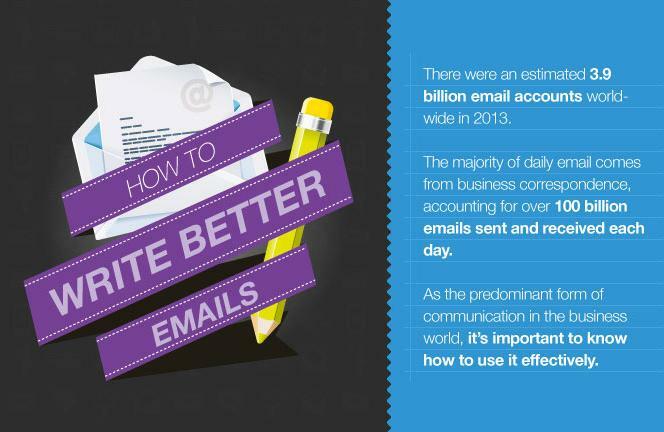 28 % of an average working person, goes about reading mails, so make it count. And lastly, don’t forget to check your grammar, and language before hitting the send icon, remember, your email is a virtual representation of you, make it count.